AVC knew that their first conference game on the road against Barstow was not going to be an easy one. An international team with more than half of their squad from South America, Spain and Australia. They are one of the few teams that match AVC in size and can shoot the lights out. Deadly from the free throw line and can match anyone on the boards. A scary team especially when you take them on at home. Team captain Cory Dollarhide, 6’0”, 170, exploded last night for 26 points. . He dropped in 7-9 three pointers, five rebounds and high energy defense. A real beast and leader on the floor. 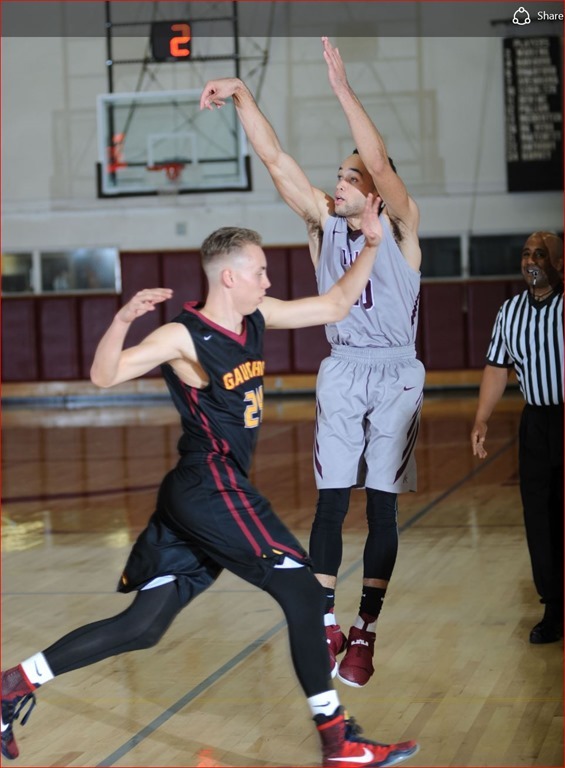 Due to injuries/etc, AVC was down to it’s third string point guard, freshman 6’4”, 205, Osinachi Nwachukwu who had one of the best games of the season. He ran the team well on both ends of the court and handed out the ball for easy shots to his teammates. Freshman Miles Wise, 6’3”, 180, may have had his best game of the season using his ball handling skills, aggressively slashing to the basket and playing shut down defense. 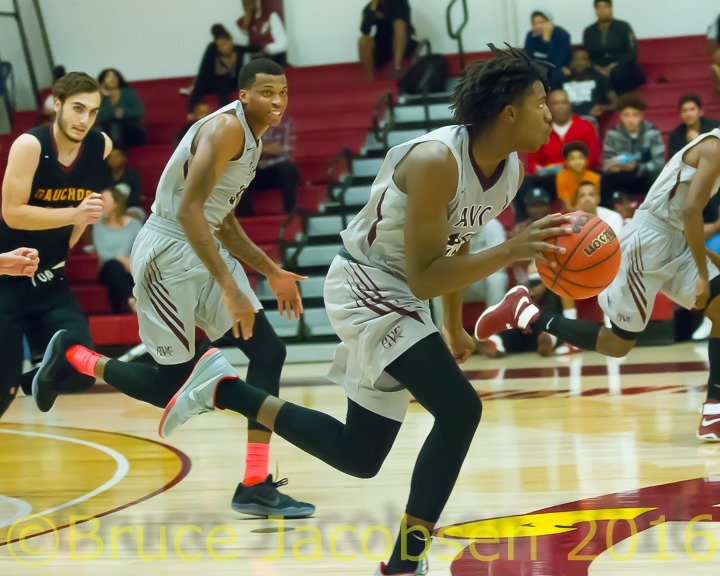 Another freshman, Dee Jones, 6’4”, 200 high energy on defense and attack offense gave AVC the boost the team needed. AVC’s big men, 6’8”, 215 Jailen Gill and 6’10”, 265 Antone “Ace” Warren had solid games battling for boards and pounding the ball into the basket from close in. It was far from a complete game from AVC. Too many turnovers, defensive lapses, but red hot free throw shooting at the end of the game and a great start was enough to win a key road game in what is going to be a tough conference race. PS When Barstow provides the box score I will provide it to the reader.